Globally, the group serves customers in around 8,000 offices in 87 countries and territories in Europe, the Asia-Pacific, North and South America, the Middle East and Africa. 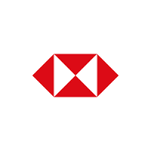 An extensive range of services of HSBC Bank Malaysia includes personal financial services, commercial banking, global banking and markets, Takaful (Islamic insurance), and Islamic financial solutions. For the first time in Malaysia, the bank started to provide customers with innovative services such as online banking (using web-based platform HSBCnet with the unsurpassed security of credentials) and SMS-banking. Also, in June 2003, it became the first foreign bank in Malaysia, that offered credit cards with Europay-MasterCard-Visa (EMV)-compliant chip for MasterCard and Visa cards. Today, the bank employs more than 5,000 professionals that serve customers in Malaysia. HSBC Malaysia	Overall rating:	0	out of 5 based on 0	reviews.